Motorcyclists who live in cities such as Miami or San Diego don’t need to worry about heated motorcycle gear or four-season motorcycle jackets like riders in cooler cities do. However, all motorcyclists need to dress for hot or rainy weather conditions. To help riders stay cool and protected from the sun and sweltering heat, breathable motorcycle gear is available in mesh or textile fabrics. Additionally, waterproof gloves, jackets, pants and boots are all available to provide riders with advanced rain protection. For this reason, the experts at MyDriverLicenses.org have put together a useful guide to help motorcyclists find appropriate motorcycle gear for riding in any season. Whether motorcyclists live in a hot or cold climate, many areas throughout the U.S. experience bouts of cool weather each year. According to the team of experts at MyDriverLicenses.org, motorcyclists can stay warm and dry when riding in nearly any temperature by purchasing heated motorcycle gear and apparel. Popular brands such as Venture, Mobile Warming, REV’IT and Firstgear sell heated motorcycle jackets and accompanying gear to keep motorcyclists warm and comfortable no matter the season. 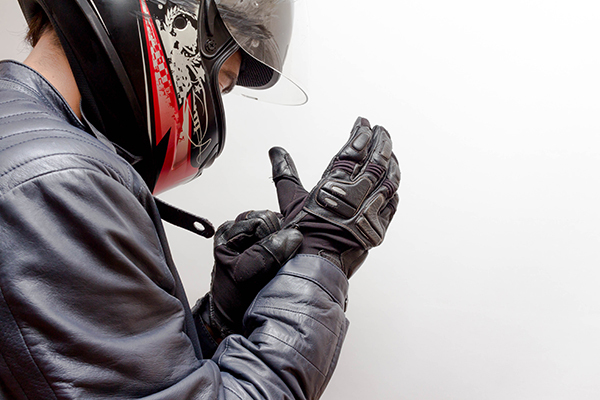 For combating cool riding weather, the group at MyDriverLicenses.org recommends purchasing heated gloves, glove liners, cold-weather jackets, and cold-weather liners or vests. Cold-weather pants and liners, neck warmers and balaclavas are other available options. Top-rated products include the REV’IT! Alaska GTX Gloves ($189), the Firstgear Heated Glove Liners ($75), Firstgear Heated Socks ($70), the REV’IT Defender GTX Jacket ($700), the Firstgear Softshell Liner Jacket ($90) and the TourMaster Synergy 2.0 Electric Vest Liner with Collar ($170). The Klim Adventure Rally Pants ($850), the Firstgear Heated Pant Liner ($175) and the Schampa Warmskin Pharaoh Deluxe ($27) are excellent options for cold-weather riding as well. Spring and summer are popular seasons for motorcycling. However, hot and humid temperatures can put a damper on the riding experience. To stay cool and dry in hot and humid temperatures, the team at MyDriverLicenses.org recommends wearing lightweight motorcycle gear made from mesh or woven materials. For instance, mesh motorcycle jackets like the iXS Zephyra Jacket ($170) and the iXS Larissa Light Mesh Jacket ($145) are excellent warm weather jackets for women. The Fly Flux Air Jacket ($99) and the REV’IT Eclipse Jacket are top-rated summer motorcycle jackets for men. Additionally, short cuff gloves such as the REV’IT Canyon Gloves ($99) and Alpinestars SMX-2 Air Carbon v2 Gloves ($79) are lightweight but effective gloves for summer riding. While heated motorcycle pants and liners are a must for winter riding, the Klim K Fifty 1 Jeans ($290) and the Scorpion Covert Pro Jeans ($160) are excellent jeans for protective and comfortable summer riding. All-weather motorcycle jackets and gear are available in leather, mesh and textile materials. For ultimate rain protection, the team of experts at MyDriverLicenses.org recommends the Olympia Airglide 5 Jacket ($289) as a mesh option, the Viking Cycle Ironborn Textile Motorcycle Jacket ($85) as a textile option and the Joe Rocket Speedmaster Jacket ($314) as a leather and textile option. The iXS Adventure waterproof gloves ($109) and the iXS Archer summer riding pants are other excellent water-resistant items. Two-piece rain suits are also available for riders. For instance, the Nelson-Rigg SR-6000 Stormrider Rain Suit ($50) features a two-piece water-resistant suit made of polyester and PVC. Other top-rated waterproof motorcycle gear includes the TourMaster Deluxe Boot Covers ($28), Fly Rain Glove Covers ($22) and Frogg Toggs Classic Pro Action Rain Pants ($22).